On a summer day I drove north on State Route 414 between Seneca Lake and Cayuga Lake, the largest of seven Finger Lakes in upstate New York. These lakes run north to south, roughly parallel to each other. They are about ten times as long as they are wide (Lake Cayuga is 38 miles long) and unusually deep (Lake Seneca sinks to more than 600 feet). This depth gives the lakes a water volume that retains heat during winter, but keeps cool in the summer. This moderates the local air temperature, keeping it favorable for growing grapes. There are about a hundred wineries in the area. 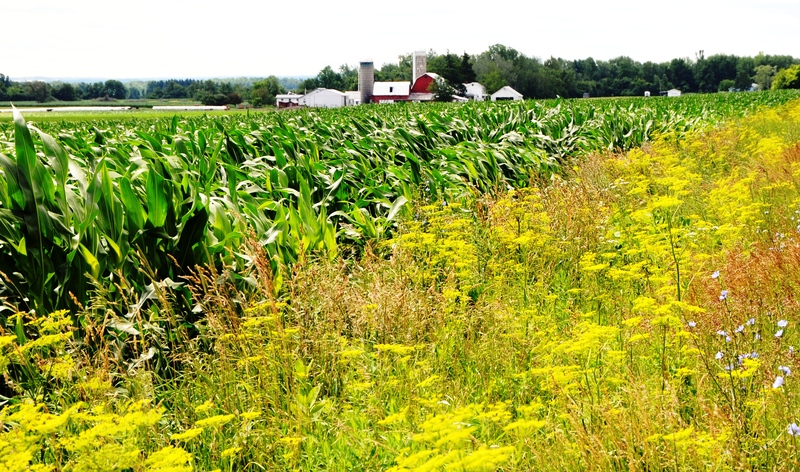 Stalks of knee-high, deep green corn filled fields adjacent to roadsides lined with colorful wildflowers. I pulled into McDonald’s 214-acre farm and parked. There I met Peter McDonald and Rebecca, his sixteen year old daughter who is one of his nine children. 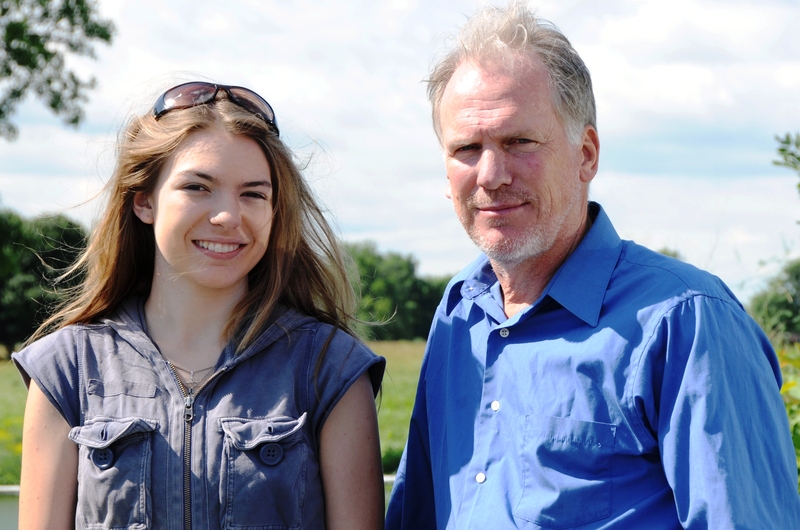 Together with Peter’s eighteen year old son Patrick they form a musical group called Rebecca Colleen and The Chore Lads (‘Acoustic Family Band from The Finger Lakes’). We sat together at a picnic table outside. The sound of bird songs was punctuated by occasional cow moos, train whistles, and the sound of rumbling trucks along the state route. I love being home schooled. I have eight brothers. I am number four in the family. My youngest brother just started kindergarten last year. Mom’s got some more work in front of her. A few years ago I started playing guitar, which I like lot. I play rhythm guitar, so Patrick and I are the rhythm section of our band. Dad does all the fancy doodles. We usually have two guys come play with us at the Red Newt winery. I don’t have huge ambitions for myself. I love playing around this region where you get to see people who you played for. They remember you. We’re working on the happy beat. I want to write happy songs. We really want to practice. For me the reward is that I’ve met so many people. You start out bonding through music but then you just become better friends over time. We play everything with strings. Fiddle, banjo, guitar, mandolin and bass. Gospel, bluegrass and acoustic music. Some wineries have restaurants, like Red Newt Cellars. We play there once a month. 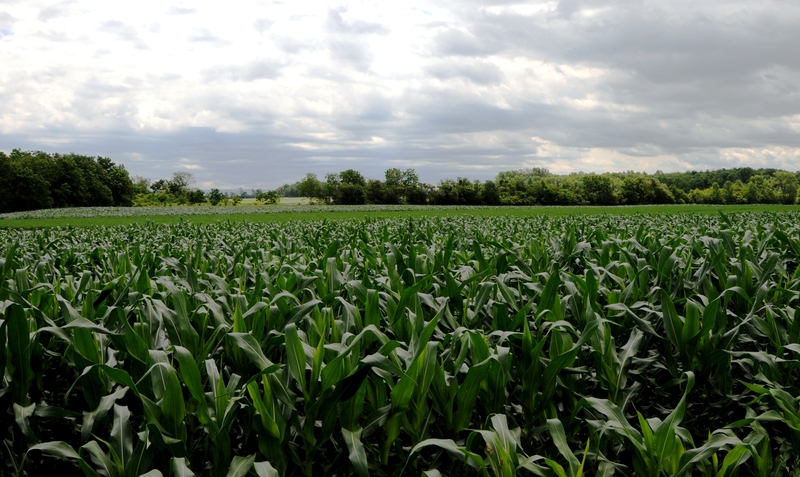 Terroir is the geographic flavor to any product grown in a certain area. We are part of that geographic flavor in this area. Our music is a homegrown product. Our food logo and mantra is: clean, fresh and local. I’d say that about our music. Someone pouring wine for you to sample doesn’t pour it and swirl it and say, okay, that’s good to drink. You want them to have confidence in what’s in the bottle. So they pour and give it to you and say – I’m confident of what’s in there. We’re working on that confidence ourselves. My job is to challenge us to play in front of larger and larger groups of people where the pressure is greater and greater. And then we record it, and then self analyze. Like analyzing wine. This is good, this is bad, pour this out, use this for cooking. This has the bouquet we’re looking for. I think we offer our contribution to the flavor and taste of the Finger Lakes. That’s a good taste. Making wine is an ancient art, and acoustic music is ancient as well. You’re looking for a balance, you’re looking for a good blend. You want a good balance that matches food. We want to be part of that blend and match with the experience. People come and see us and we’re encouraged to continue because we put our heart and soul out. I think wineries are the same way. Anybody can make wine. But a number of people can make excellent and unique wines. Anybody can make music but what we’re offering fits in with what we want to be, special and unique. We want to get to that level where we could say it really is music of the Finger Lakes. Homegrown. I’m a conservative. I want to stand in the gap between what was and what could be. I think we speak the same language as our wineries to say that we want to be able to preserve what we have that made us come here in the first place. We’re talking about full course experience. Music is one of the courses. Thank you for your kind words on our blog. Homeschooling: the modern day “Hearthstone”. It will enable Peter and his family to bridge that gap between “what was and what could be.” This is the real America we once knew but still exists in places like this man’s home and family. What a beautiful description of a dream-like family: close, involved in activities together and in a wonderful rural setting. America…we remember you. I like their mantra “clean, fresh and local”. These people are great! I would love to hear them play!